According to advertising industry insiders, Yahoo's bid to reclaim some of its lost lustre will kick off next week when it unveils a massive $100 million marketing campaign. The £61 million war chest will be announced at the Internet Advertising Bureau's MIXX conference in New York by chief marketing officer, Elisa Steele, in a talk headed 'Yahoo's Consumer Revolution... Round II'. While there are no details about how the money will be spent, it's already clear that the thrust of the new message will be in reminding consumers that Yahoo is a company that attracts half a billion online visitors a month, and that it's not just a fading former giant of the net. 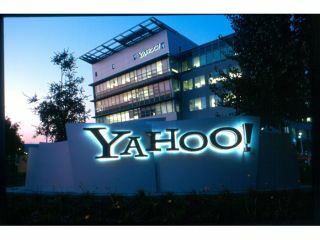 Analysts predict Yahoo will do so by highlighting the services it offers, such as email and portal sites, which can make it – in the words of CEO Carol Bartz - "the centre of people's online lives". Together with the recent partnership with Microsoft on internet search, the new thrust is likely to reinvigorate a company that has been painted in negative headlines for several years now.